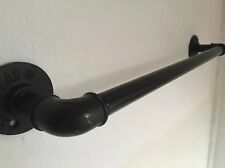 Black piping with a gloss finish. Towel rail size -. Make your bathroom stand out from the crowd. 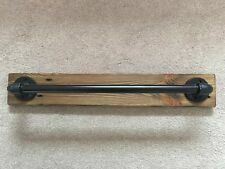 1 x Towel rail. Also available in silver. Toilet roll holder with cover - height 14cm x width 11.5cm. Towel rail - length 66cm x projection 7cm. 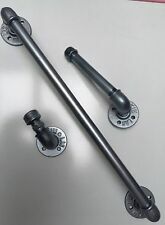 This is a really good quality Towel Rail for your bathroom. Double Towel Rail. Great Value Bathroom. Depth from wall to front - 13cm. Stove Guard Firescreen ~ 32"H Screen Fire guard Spark guard for Fireplace. This is a really good quality, pretty Towel Rail for your bathroom. Towel Rail. Quality Bathroom. Depth from wall to front - 7cm. Stove Guard Firescreen ~ 32"H Screen Fire guard Spark guard for Fireplace. 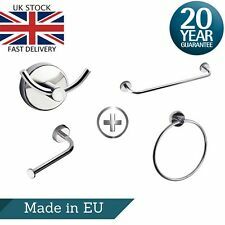 This is a really good quality, pretty Towel Rail for your bathroom. 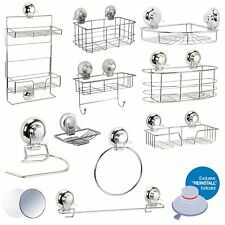 It is part of our very popular Aries range of Bathroom Accessories. Double Towel Rail. Stylish Bathroom. Depth from wall to front - 12cm. 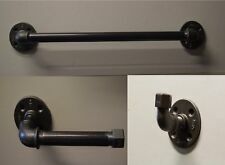 This is a really good quality Towel Rail for your bathroom. Towel Rail. Great Value Bathroom. Depth from wall to front - 7.5cm. Stove Guard Firescreen ~ 32"H Screen Fire guard Spark guard for Fireplace. This is a really good quality, pretty Towel Rail for your bathroom. 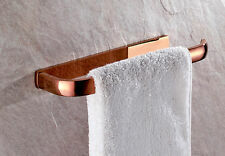 It is part of our very popular Aries range of Bathroom Accessories. Towel Rail. Great Value Bathroom. Depth from wall to front - 6.5cm. 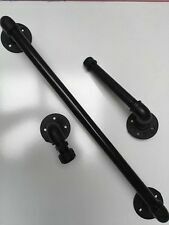 Toilet Roll Holder & Towel RailBought for new bathroom but not used.